Postcrossing & Deutsche Post: Postcards for a good cause! Blog > Postcrossing & Deutsche Post: Postcards for a good cause! For every postcard sent from Germany through Postcrossing during the month of December, Deutsche Post will make a donation of €0.10 to the non-profit organization Stiftung Lesen (Reading Foundation). Doesn’t that sound nice? If you’re in Germany, all you have to do is keep sending postcards! If your December postcards are registered before the end of February 2015, you’ll be contributing to this cause. And though only postcards sent from Germany count, there’s always a receiver in every postcard exchange – so each time a card from Germany is registered, the recipient will be indirectly contributing to this donation as well! 3 messenger bags with Deutsche Post’s logo. 20 custom-designed stamp sheets, each including 15 international postage stamps with Postcrossing’s logo. 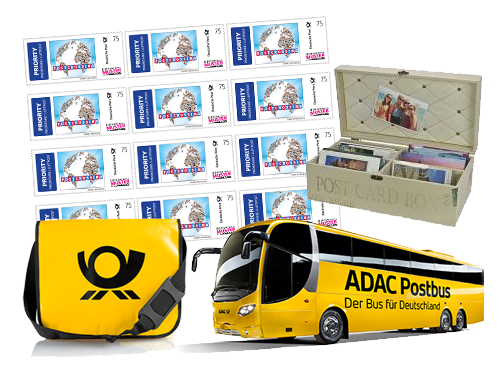 20 bus vouchers for the Postbus service, valid on any trip on their network. The winners will be picked up by Paulo's random number generator in early March 2015, when we will also announce the value raised by the German postcrossers to Stiftung Lesen here on the blog. Last year, a very impressive total of 7845 euros were raised… can we do the same this year? 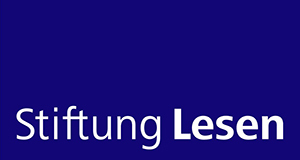 Stiftung Lesen is a German non-profit organization, working to increase literacy – especially among children and adolescents. They promote reading through several different activities, such as the “My first letter” contest. PS – As always, we respect your private information and will not share it with any company without your express permission. The full details of this campaign can be read here (German only). Woooohoooo! I was one of the lucky winners last year, perhaps this year again? Oh, I really love the postcard box and the messenger bag! Thanks for providing the link! I'd love to purchase them, but it seems the Deutsche post webpage is only available in german and probably wont ship to Estland? Good luck to the participants and merry postcrossing! It's good, that Germany has so many active Postcrossers. Reading is so important and a lot of fun. Bring kids into reading is important!! What a wonderful idea, I will be writing as many cards as possible, thank you!! But it annoyed me,that i could not sent much last year, since many cards within this time gets lost...or are registered long after 60 days>< i hope with 14 traveling cards this year i can send more that actually reach their destiny.. I am gald that if I register one German official postcard I am contributing! Looking forward! And congrats to German Post!!! I'll get new stamps this week, they have lovely snow globes (yes, they're shaped!) right now. And I have reams of pretty Christmas postcards, I love them. But I agree with Prima_Murasakibara, most postcards get lost in Christmastime because the post offices and mailmen are so busy. This initiative was spread in the intranet of Deutsche Post to all employees last year. That's when I joined postcrossing. Great that it is repeated. Great work of Deutsche Post! Wish they would do something like that in my country too! @klausbaerbel Maybe it's not published on their websites because it's an exclusive cooperation with postcrossing? Deutsche Post had actions with Stiftung Lesen before. I just love love postcrossing and this idea is brilliant. This is what Christmas is all about!! Giving to others! I am so sad, though, that we have a postal strike for over 3 months now in SA. Wish it will be over very soon!! I planned not to send so many postcards in december, but now I will rethink it. That is a very cool promotion, Deutsche Post. Thank you! And I hope, we will be able to buy those stamps! I'm happy to be in Germany and can be part of it! Oh great! Thanks to Deutsche post. So I'll send as many postcards as possible! That's really great. Stiftung Lesen is a great organization that school children benefit of a lot. Great idea only a pity that only people with a German postcrossing account can join. I live next to the German border and often mail my cards there (Postal rates are there much lower :) ) Would have been great as I could have contributed to Stiftung Lesen with the cards I'll mail there this month. Usually I don't "send and receive postcards to and from your own country" but today I have edited my profile and chose this option. generated about 10 ID's last week - all posted today. I think that didn't count for competition? For this good cause I'll write more postcards than usual. 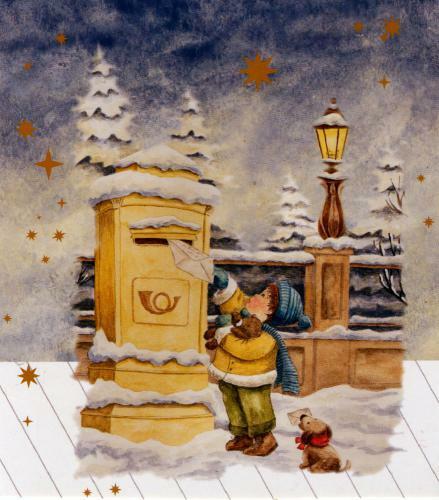 I wish all Postcrossern a pleasant Advent and Merry Christmas! That is so nice, guys!! @Reisegern - Because it's not up to Deutsche Post to decide about the stamps - the Bundesfinanzministerium decides about that and they are not as willing to cooperate. To help this a bit, I put my account active again and also ticked the box for receiving from the same country. It's likely that I will receive a bunch of German cards as I'm 30 cards behind. I´ve made one € already :) Great idea! Would be cool if they would do this kind of thing more often,maybe also for other organisations.. I haven't exhausted my limit for a while, but currently 13 postcards are on their way. I hope they get registered soon so I can send new ones, haha. So, my first 10 Cent just went into the collection bag. All my 19 cards are travelling! Hope they reach in time or even before, so I can send some more! Stiftung Lesen is very helpful for children to come in contact with books and some children really need help to realize how important reading is for their lifes! Another great idea would be to finally print some official postcrossing stamps. I guess we all agree that the community is huge enough to make it a profitable deal for Deutsche Post. And looking at the stamps other countries have, it is high time to get some more 75 Cent stamps with creative pictures. @lillsche I'd love to have Postcrossing stamps. Germany is No. 1 on sent postcards. And I guess people who don't care about Postcrossing don't bother about the stamps they use. AMAZING! I'm proud to have been born in Munich, Germany (though now I live in the U.S.). Go Germany! P.S. I agree, I would also love to see some different German stamps on the postcards I receive. Usually it is always the "50 Jahre Fehmarnsundbrücke" one. Happy New Year! How much Cards did we get together?